Polo v18.2 is now available. Polo can now generate and verify MD5, SHA1, SHA2–256 and SHA2–512 checksums. Hashes are generated using GLib functions and there are no external dependencies. 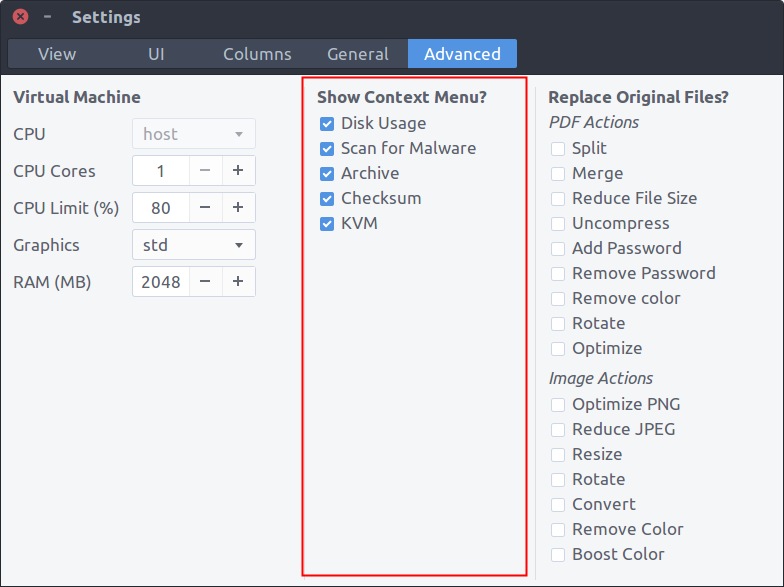 Select files and folders, right-click and select Checksum > (HashType) from context menu. Generated hashes are displayed in a new tab. Select any file to copy checksum to clipboard. 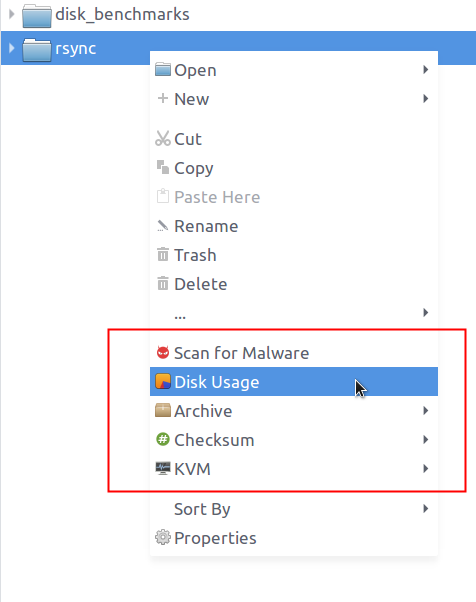 Select multiple files to copy both file path and hash to clipboard. Click Save button at bottom of list to save results to a file. 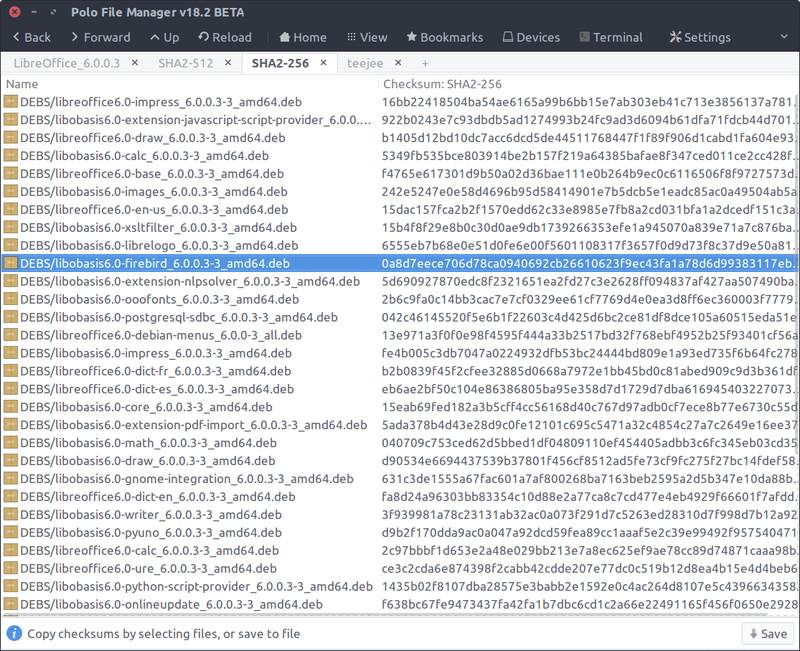 Saved file contains relative paths and file names. 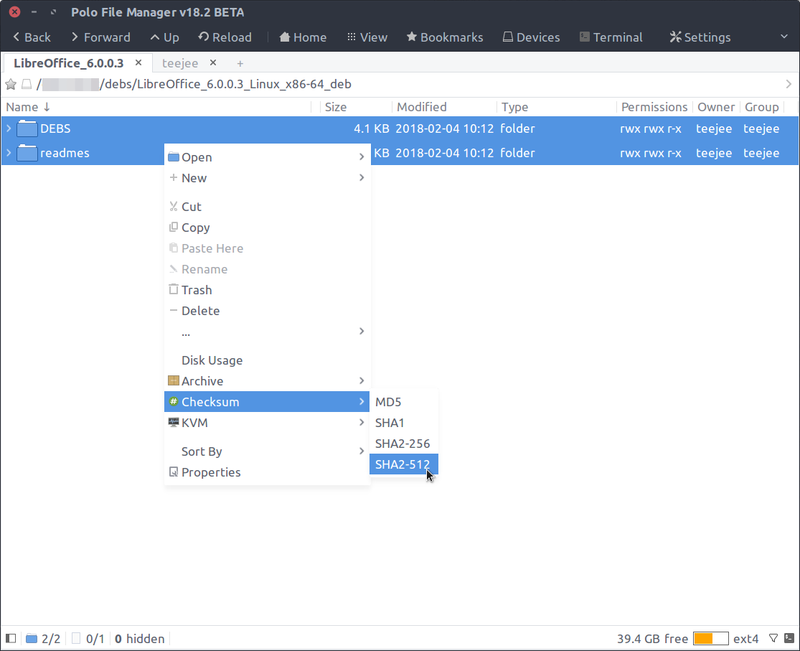 It must be saved in same location relative to files from which it was generated. 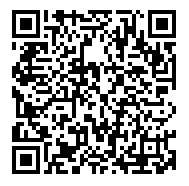 Simply double-click and open files with .md5, .sha1, .sha2, .sha256, .sha512 extensions. Hashes will be re-calculated and verified, and results will be displayed in a new tab. Use the drop down at the bottom to filter files by result. Click Export CSV button to save results to a CSV file. A summary dialog is displayed after verification is complete. Description for audio and video formats were updated to make it more readable. Formats with the same codec are listed in increasing order of quality. Move your mouse over an item to see a tooltip with more detailed information. A button was added to cancel the fetch operation. Fetch operation will timeout after 15 seconds if videos are not found on the page. This may happen due to network issues, or if URL is unsupported. You can try pasting again, or try updating to a newer version of youtube-dl. 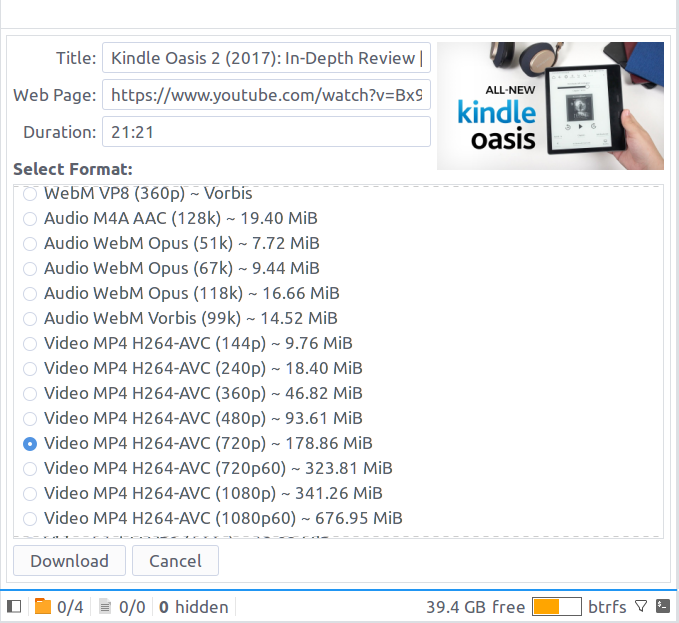 The progress panel is now more compact and displays a thumbnail of the video being downloaded. Options were added to Advanced tab of Settings window for hiding some context menu items. Un-selecting items will hide them from right-click menu of files and folders. This is useful for hiding actions that are not useful to you. Fixed an issue while renaming folders. 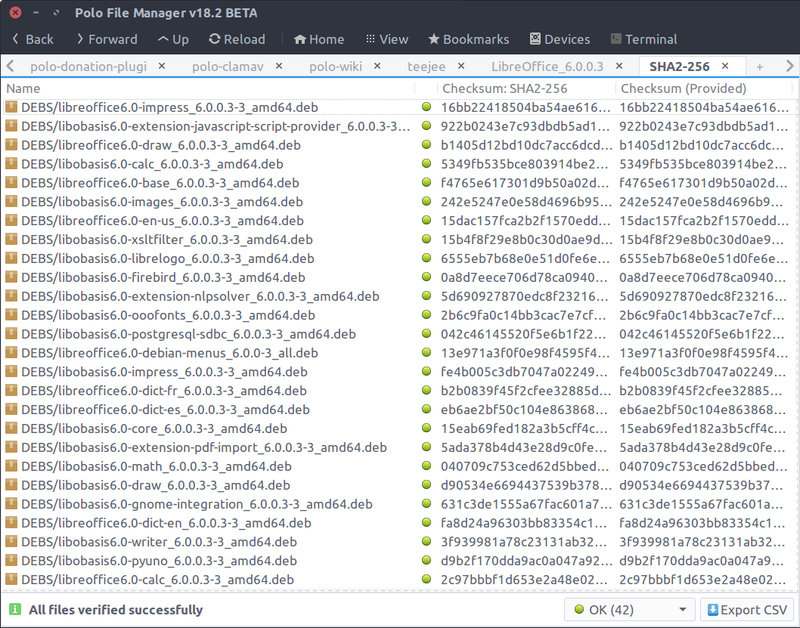 Sub-items in renamed folders were displayed with previous path. Added support for remote user accounts (LDAP,etc). Previously, Polo would fail to initialise correctly if the user did not have an account on local machine. Polo includes a few extra features and plugins for people who have contributed to the project through donations, translations, etc. You can make a donation for $10 or more via PayPal to receive the plugins by email. Your contributions will help keep the project alive and support future development.